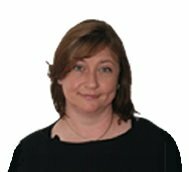 Gillian is a specialist in manual therapy – using a hands on physiotherapy approach to mobilise tight structures and reduce pain. Electrotherapy may be used occasionally to assist the healing process but it will never make up the main part of your treatment. Unlike many other physiotherapists, Gillian is trained in both biomechanical assessment and kinesiology taping – both of which can prevent injuries from reoccuring.